AUSTRALIA has won a thriller to get back in the Rugby Championship winner's circle with a gutsy 23-18 win over South Africa at Suncorp Stadium. 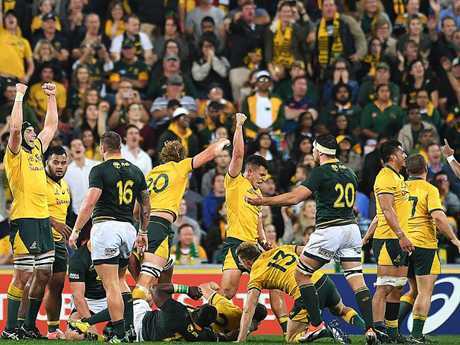 The Wallabies had to make a desperate, dramatic final defensive stand well after the final siren to deny South Africa a heart-breaking last-gasp win. Instead the Wallabies' line held firm and it was South Africa that eventually broke down when a wild pass was snatched up by the Wallabies defence in the 84th minute. When Matt Toomua was able to punt the ball over the dead-ball line it triggered wild scenes of celebration for the Wallabies after one of their bravest performances since the last world cup. 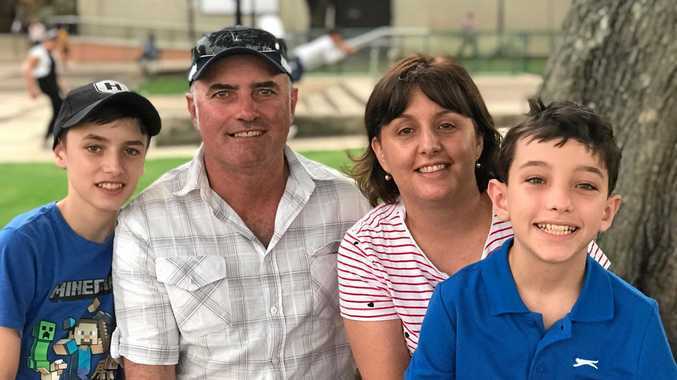 "Talk about digging in from the Wallabies," Wallabies great Matt Burke told Network 10. The win snapped a four-match losing streak and relieved pressure on coach Michael Cheika. But their promising momentum was quickly stalled through ill-discipline, mistakes and poor defence, with Bongi Mbonambi putting South Africa ahead after a rolling maul obliterated the home side's resistance on the quarter-hour mark. However, the Springboks handed the Wallabies a massive lifeline in the 33rd minute - a badly overblown lineout throw in defence from Mbonambi fell favourably for Toomua, who slid under the posts to reduce the margin to one point. That's how it stayed after Elton Jantjies and Reece Hodge traded penalties before half-time - the latter unleashing his superboot from 53 metres out. 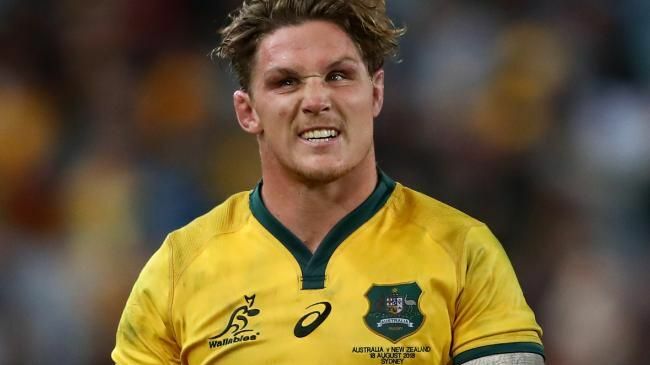 After dominating territory for the first chunk of the second half, the Wallabies finally took the lead back through a Toomua penalty, which made it 20-18. The introduction of Taniela Tupou helped ensure they maintained the ascendancy, although they failed to convert any of the attacking opportunities they created.